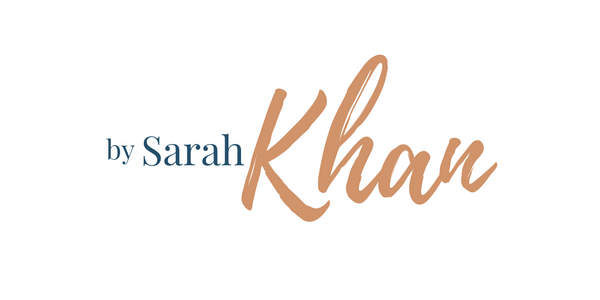 Award-winning travel writer Sarah Khan has lived in five countries on three continents (Canada, Saudi Arabia, India, the US, and South Africa). 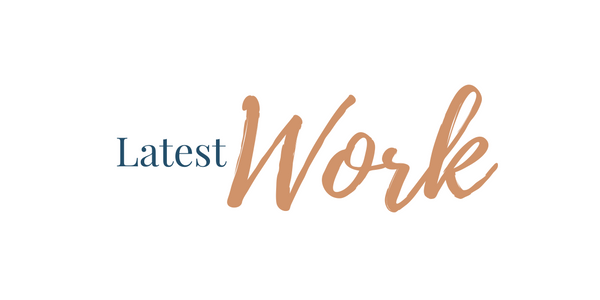 Previously, Sarah was an editor at Travel + Leisure and Gotham magazines in New York City; these days, you can find her byline in The New York Times, The Wall Street Journal, Condé Nast Traveler, Saveur, Food & Wine, Surface, Vogue India, Virtuoso Life, and many other titles. 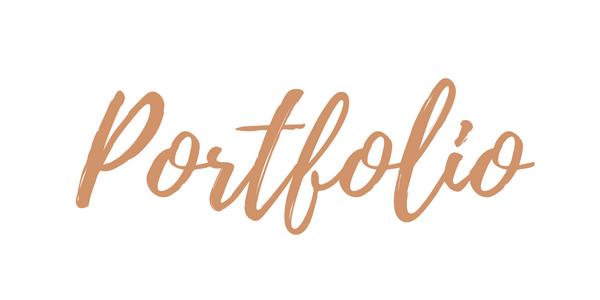 Follow her on Twitter and Instagram @BySarahKhan to discover #whereintheworldissarahkhan. This summer I hit the road, traveling across Tennessee, Wyoming, and Minnesota, armed with a checklist of Americana I wanted to experience. 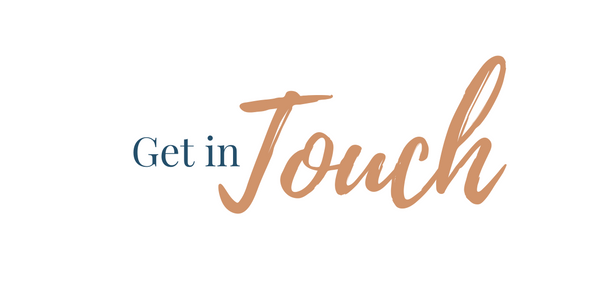 Find out how it went in my cover story for the New York Times. Could the key to world peace lie in Spain’s history? I journeyed across the country by train and found some unexpected things along the way. 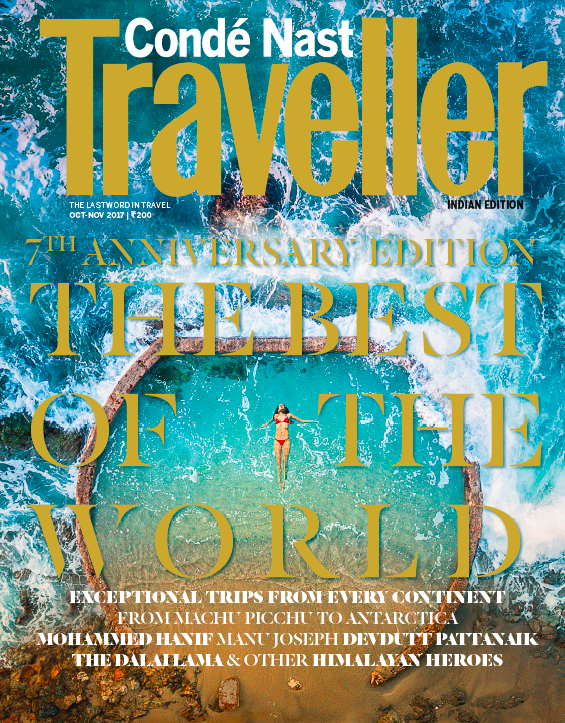 Read all about it in Condé Nast Traveller India’s seventh-anniversary issue. 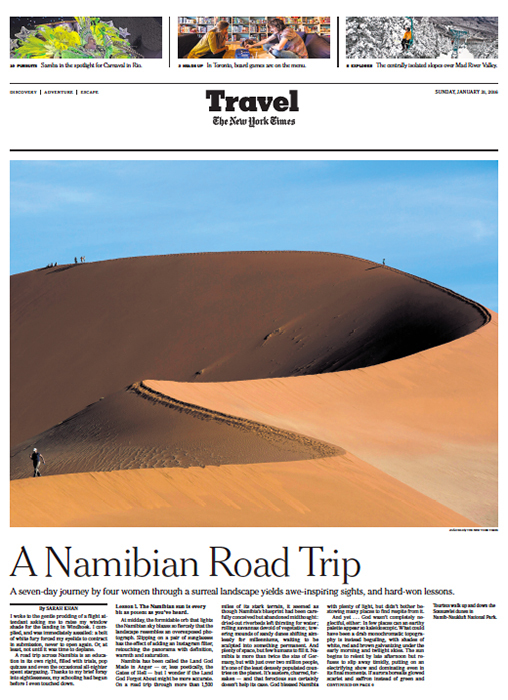 I wrote about a 1,500-mile road trip across Namibia for the New York Times, and the story was featured on the cover of the travel section. 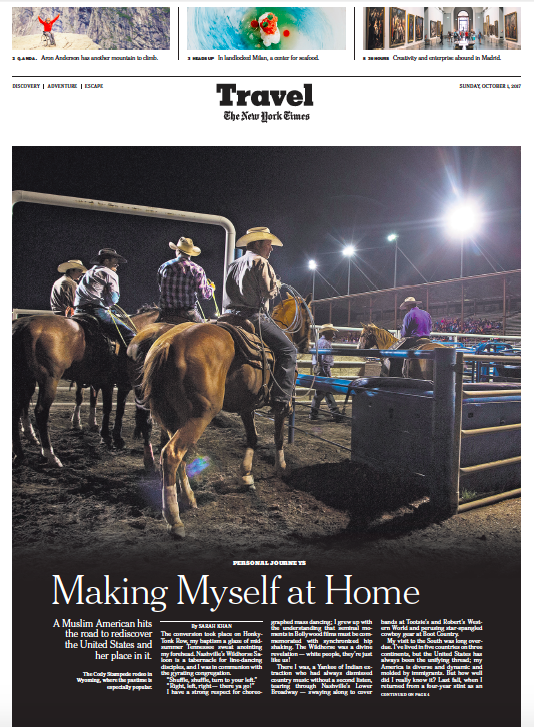 I also won a gold Lowell Thomas Award for Foreign Travel for the piece. 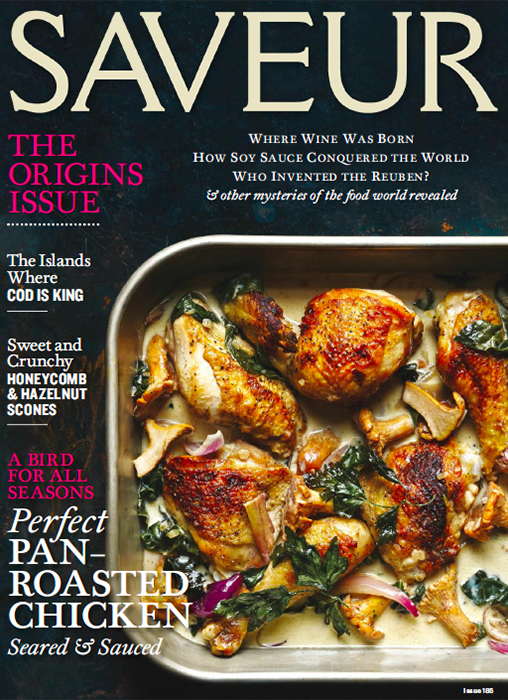 Saveur is one of my favorite magazines out there — they do such a great job of covering food and travel in a literary way — and I wrote this feature on Durban’s Indian food for their Origins issue. I later won awards from the Society of American Travel Writers and the South Asian Journalists’ Association for this piece.